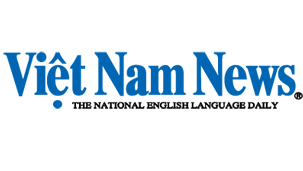 Viet Nam has invested in upgrading its electricity transmission lines in preparation for importing power from Laos, according to the National Power Transmission Corporation (EVN NPT). 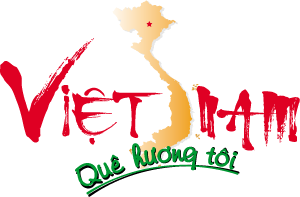 Importing electricity from neighbouring countries, including Laos, is one of several measures being adopted to help Viet Nam meet the electricity demand for socio-economic development. Workers check electrical equipment at transformer station 500kV Pleiku in Central Highlands region to ensure safe operation. The region would receive hydroelectricity imported from the Xekaman 1 hydropower plant in the south of Laos in 2016. Chairman of the corporation Dang Phan Tuong said the Central Highlands region would receive hydroelectricity imported from the Xekaman 1 hydropower plant in the south of Laos in 2016. The southern region of Laos will have four more hydropower plants in 2017, including Xekaman 4, Xekaman Sanxay, Sekong 3 and Sekong 3 Ha. Electricity from Xekaman 4 will be transmitted to Viet Nam through the 220kV Xekaman 3-Thach My transmission line, while electricity from the remaining plants will be transmitted to the Central Highlands region. As a result, investment in the power transmission system between Viet Nam and Laos was essential, contributing to ensuring sustainable energy development, he said. The EVN NPT has developed some power transmission projects to receive and transmit electricity from these hydropower plants in Laos to the Central Highlands region. These projects are expected to help partially address the urgent requirement for electricity plants for the period ending in 2020 and have all been approved by the Prime Minister. They include the 200kV Xekaman 1-Pleiku 2 transmission line starting at the border between Viet Nam and Laos and reaching the 500kV Pleiku 2 power station, crossing the Kon Tum and Gia Lai provinces. Construction of the project kicked off last August and is expected to be completed in March, with total investment capital of more than VND966 billion (USVND1,000,350 million). Meanwhile, construction of the 500kV Pleiku 2 power station started in December 2014 and is expected to be completed in March, with total investment capital of nearly VND1.27 trillion (VND1,244,880 million). The station is designed to receive electricity from Laos, increase the efficiency of the 500kV Pleiku-My Phuoc-Cau Bong power line and ensure the reliable operation of the North-Central-South 500kV transmission system.